Louisiana Patients Demand Cannabis Be on Shelves by May 15 – Get Supplied Co.
BATON ROUGE, La. 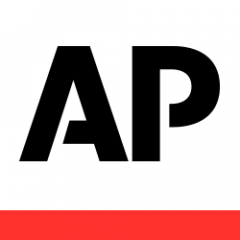 (AP) — Louisiana pharmacists permitted to dispense medical marijuana and patients waiting for it demanded Monday that state regulators allow therapeutic cannabis to reach shelves by May 15, and one of the growers said it hopes to have a “limited” supply by that deadline. The ultimatum was issued at a meeting to update medical marijuana supporters on the status of the program, an indication of the mounting frustration that medicinal-grade cannabis still hasn’t reached patients nearly four years after lawmakers agreed to the dispensing framework. GB Sciences, contracted by Louisiana State University and one of two state-sanctioned growers, said it hopes to have a “limited release of product” by mid-May, available to patients with the most severe conditions. “We’re going to do everything that’s under our roof to aim for that date,” said John Davis, GB Sciences Louisiana president. Southern University’s grower, Ilera Holistic Healthcare, hasn’t started growing the plants yet, so it doesn’t expect to provide therapeutic cannabis to pharmacies until the fall. Any product availability is contingent on completion of lab testing and other regulatory hurdles by the state agriculture department, which oversees medical marijuana. Commissioner of Agriculture Mike Strain said he hopes to meet the May 15 deadline for GB Sciences to release its product to the market. But he didn’t commit to it, citing the need to ensure the product is safe. “We’re going to do everything we can to try to get it out as quickly as we can,” Strain said. Katie Corkern, who lobbied lawmakers for years in support of medical marijuana to help control her son’s seizures, told a story Monday about another child waiting for cannabis. That 13-year-old girl died a month ago from the effects of her epilepsy disorder, Corkern said. “Do we know if (medical marijuana) would have saved her life? No, but it would have been great for her to have had a chance to see if it would have,” Corkern said. Friction between GB Sciences and Strain’s department over the interpretation of its rules regulating marijuana production has slowed paperwork and production plans. Medical marijuana advocates also have suggested Strain’s lab has taken too long in initial product testing. Under a law passed in 2015 and tweaked since then, Louisiana is allowing medical marijuana to treat a long list of diseases and disorders, such as cancer, seizure disorders, epilepsy, glaucoma, post-traumatic stress disorder and Parkinson’s disease. Marijuana can be available in medicinal oils, pills, liquids and topical applications, but cannot be sold in a form to be smoked. Only the agricultural centers at LSU and Southern University are allowed to grow therapeutic cannabis in Louisiana.